Enda Kenny added that Ireland’s corporate tax rate will not be up for discussion in any talks on a credit facility after the bailout. TAOISEACH ENDA KENNY has said that it is too early to say whether Ireland will need a backstop of credit funding when the country leaves the bailout in December. It’s actually too early to say that because Michael Noonan now has to go to Washington and to Brussels to talk to the Troika and the IMF about what are the best conditions which Ireland leaves the bailout. A clean break or whether there will be any conditions to be attached. It had been suggested that some German politicians has been pushing for the condition but the Taoiseach said that German Chancellor Angela Merkel has consistently said that Ireland exiting the bailout would be seen as a positive signal for Europe as well. When we move on we want to pull the shutters behind us and move onto normal managing of proper budgeting for 2014 and 2015 and build the kind of country I know we can have. Asked whether there is an appetite within his party for more referendums following the Government’s defeat in the Seanad vote, Kenny said that there was not, their focus is now on budgetary matters he said. “I don’t think its feasible to have a stream of referendums every six months,” he added. “It was a very clear and personal decision made by people who I invested a lot of time into actually getting elected in the first place. There was ample opportunity for everybody to have their issues to make their decision and that decision led to self-expulsion, the rules of the party are very clear,” he said. The final figures for this Tuesday’s budget were not yet finalised according to the Taoiseach who said that they would be completed at a cabinet meeting to take place today. “Brendan Howlin has sat down with each minister and set and ceilings for each department,” he said. Email “Too early to talk of 'clean break' from bailout - Taoiseach”. 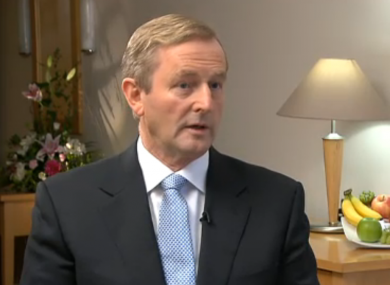 Feedback on “Too early to talk of 'clean break' from bailout - Taoiseach”.